After three years, A Place to Bury Strangers are back with their new full-length, Pinned. The name of the album is slightly ironic upon listen, but it’s also fitting. While they’re definitely often pinned down as one of the noisiest bands around and have definitely stuck to that throughout their first four full-lengths, their music cycles through several genres even within one song, and Pinned specifically parts ways somewhat with everything they’ve done before, making them not pinned at all. With new drummer Lia Simone Braswell providing vocals often in tandem with guitarist and vocalist Oliver Ackermann, APTBS are definitely attempting to do something a little different this time around. At first listen, Pinned sounds like some earlier work of a band younger than APTBS’ 10 years, but obviously, they aren’t Benjamin Button–ing their way back to some earlier form of themselves, because APTBS don’t have any releases that sound much like this. Their earliest music was noise-y as could be (their 2007 self-titled album, for example), a frothing-at-the-mouth hybrid of psych rock, shoegaze, industrial, post-punk and goth aesthetics. The energy of these influences—all so strong on their own, let alone mixed—kept racing through the veins of APTBS as they released a new album every two or three years, their typical pace. It seems like their approach to making music is a response to the overwhelming amount of things one can do when playing music, and that response is to do a little bit of everything that catches their eye (an understandable response when one considers that Ackermann founded the pedal company Death By Audio). Thus far, it’s cemented them as one of the most respected contemporary post-punk/shoegaze bands playing. Pinned, however, comes off so differently because it feels like a side of them we’ve seldom seen, something a touch minimized, forgoing the heaping chaos for a controlled blaze. 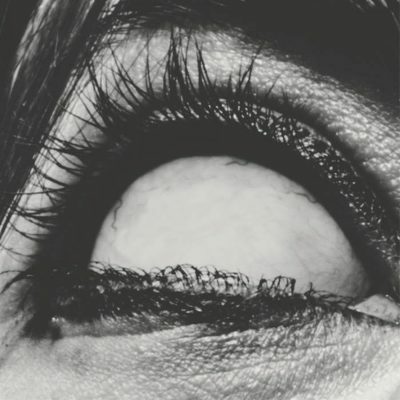 APTBS have often teetered back and forth over the line between minimalistic intensity and sheerly fuzzed-out volume, but what’s noticeable on Pinned is that they don’t teeter much, instead walking a pretty balanced line of purpose. The chaos that’s their claim to fame comes in measured bursts here, like the warbling screeches that sound like background conversation in “Execution.” Even “I Know I’ve Done Bad Things,” maybe the fuzziest song on the album, doesn’t cross over into speaker-busting territory. Rather, the focus on many songs is actually on the ghostly, malcontent vocals of Braswell and Ackermann, whose voices churn over each other’s on songs like “There’s Only One of Us” while the song smolders around them. My favorite song on the album is the last one, “Keep Moving On,” which bristles with energy from the cool, fast drumbeats, its clipped, goth vibe making for the perfect closer.